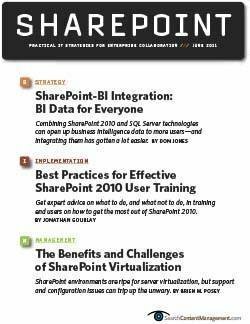 The ISV space around SharePoint 2010 collaboration has focused on workflow and analytics, but with more development on the way, that is expected to expand into many other areas and capabilities. 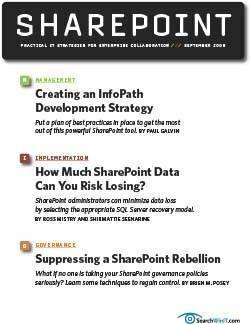 With 125 million licenses sold, Microsoft’s SharePoint is the market leader for enterprise collaboration, but it doesn’t solve every business problem for every user. 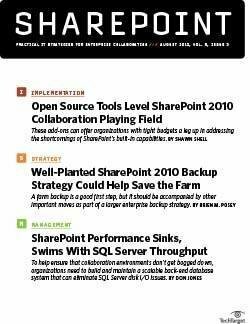 Instead, many SharePoint 2010 collaboration platform users rely on a host of independent software vendors (ISVs) to handle what SharePoint can't. 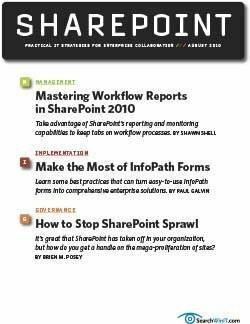 According to the Association for Information and Image Management (AIIM) Industry Watch report SharePoint – strategies and experiences, the top three areas targeted by ISVs in 2010 were workflow, search and analytics, and security and rights management. 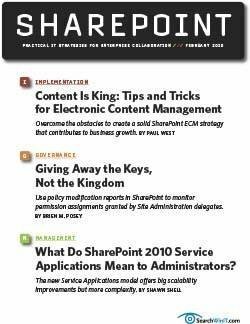 They’re areas that Ryan Duguid, a senior product manager at Microsoft responsible for SharePoint enterprise content management (ECM), said continue to dominate ISV development interest. 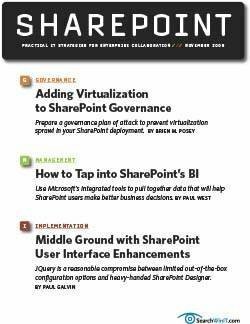 That interest began with the introduction of SharePoint 2003, when ISVs stepped in to support users beyond their basic needs, according to Mark Gilbert, research vice president and lead analyst on SharePoint for Gartner Research in Stamford, Conn. SharePoint 2007 sparked greater interest from the market and Microsoft started delivering good training later in 2008, Gilbert said. 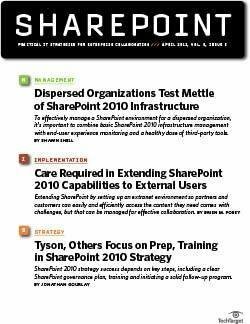 SharePoint 2010 added increased functionality but also introduced complexity. As a result, the universe of SharePoint Partners and ISVs continues to grow. 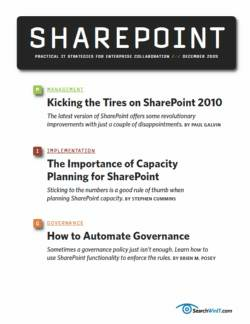 In North America alone, there are 1,000 ISV products for SharePoint 2010 and another 1,000 in development, according to Jared Spataro, Microsoft senior director of SharePoint product development. 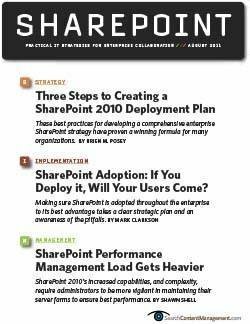 Spataro said that 58% of SharePoint customers use it straight out of the box, primarily for its ECM or collaboration capabilities. That leaves a large proportion of users who then will customize the platform or turn to ISVs to fulfill specific needs. Kraft Foods is a SharePoint customer that uses Nintex for workflow issues and NewsGator for social collaboration because it didn’t feel SharePoint’s native functionality served its needs in those departments. Kraft is far from the only one. 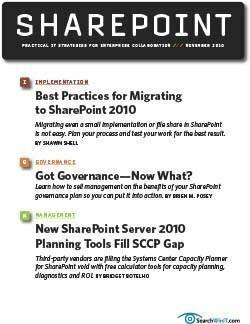 According to Tom Barfield, director of social learning and knowledge management with the New York-based global management consulting company Accenture, most of the company’s business systems are either on SharePoint 2010 or in the process of being migrated to it from 2007. Yet, Accenture turns to NewsGator for aggregated activity streams and its micro-blogging capability. “It’s really enriching the user experience for our end users, controlling membership and things along those lines,” Barfield said. Accenture has a recognition program that awards scores to employees depending on how much they share individual knowledge with others. NewsGator automates the rating, “essentially adding a gaming aspect to our process, and employees earn contribution badges for their efforts,” Barfield explained. “Another key capability that I’m looking forward to is micro-blogging that will enable automatic routing of employee-generated questions to one or more communities of individuals interested in a particular subject matter,” he said. The program links 240,000 employees across 54 countries, linking them to multiple “interest” communities. The application can infer from a question the community it ought to be sent to. The company also uses BA Insights on top of SharePoint to provide “faceted search” and a document previewing capability that Barfield said SharePoint doesn’t take far enough. It enables users to open PDFs, spreadsheets and zip files. Quest provides migration and management tools as well as customization and deployment capabilities. 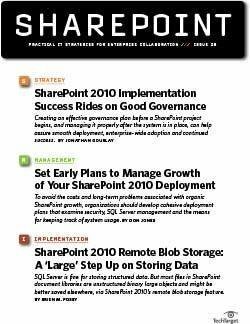 Evans considers SharePoint an application development platform that offers generational improvements. By sharing developments with its vast partner network, Microsoft enables ISVs to design specific products to take up the slack. 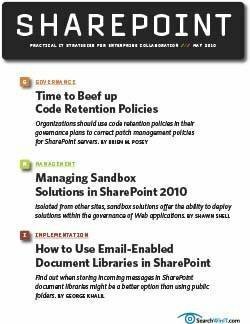 In fact, the SharePoint ISV market has evolved, with vendors moving from developing components of applications to actual products and services and now acting as hosts for SharePoint sites, Harbridge said. “The partner network has a big impact,” he said, explaining he thought digital asset management and mobile, especially as it applies to tablets, were two hot areas for ISV development. 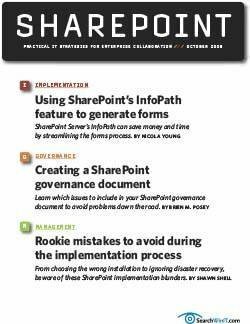 “SharePoint is an extensible platform that provides the infrastructure for business solutions,” said Owen Allen, president and founder of SharePoint Directions in Seattle. 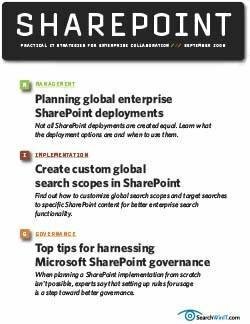 SharePoint Directions works with ISVs to ensure the software products they develop integrate with the platform. 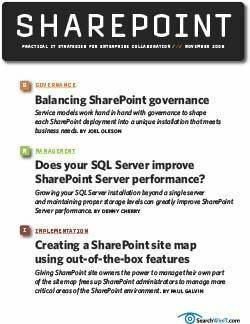 It helps developers think like SharePoint users so they consider the features needed to work with other services and products. 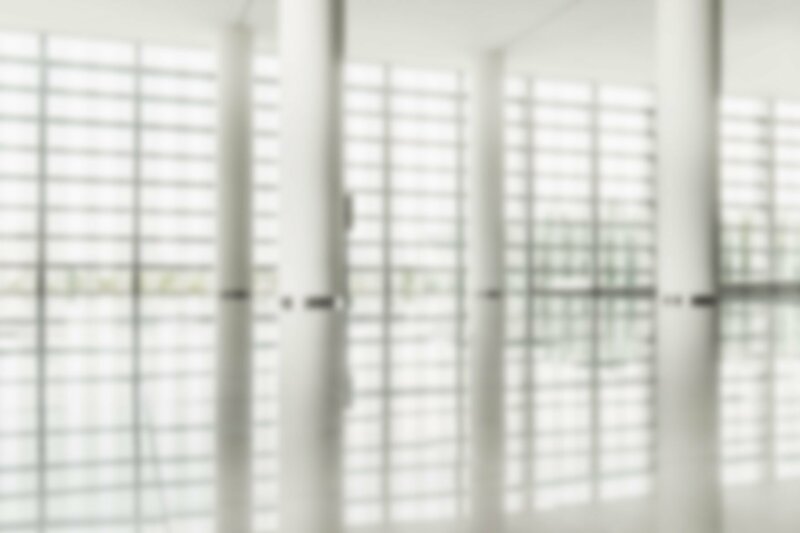 Business processes are different for dental offices, insurance companies and car rental businesses, Allen explained. 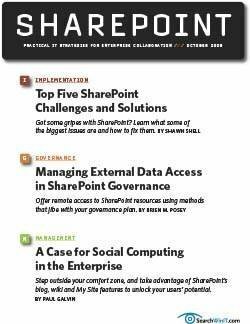 SharePoint can’t provide for everyone’s needs. For example, a comprehensive workflow capability could “eliminate many valid processes,” he said.